This dish was staple on the dinner table when I was a kid and I loved it. Now a days you never hear anyone mentioning it. 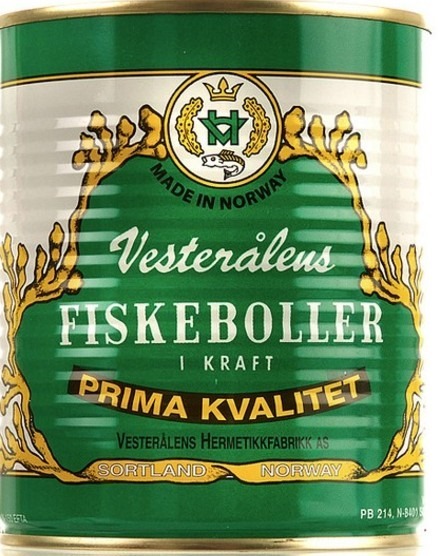 I walk by tins of the classic ‘Vesterålen Fiskeboller’ almost everyday at my local grocers, but I never buy one, so I guess I’m like the rest of us Norwegians. Fish balls are not fancy enough any more. 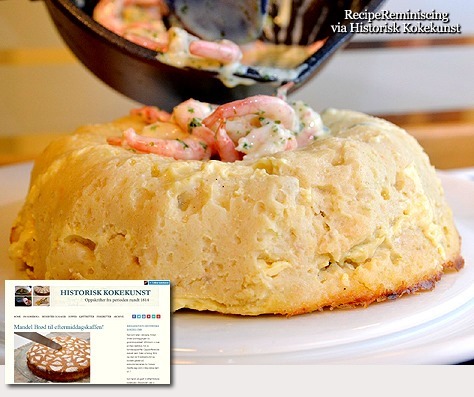 From Historisk Kokekunst: Many of the old Norwegian recipes are characterized by having migrated to Norway from abroad. In many cases they sound too un-Norwegian in the name, which this dish is the best example of. For what you say to "Fish "Paapetang "filled with shrimp" Not quite sure what we’re talking about, perhaps? That was certainly the case for us. We had never heard of something called "Paapetang". The recipe lets us understand it is a kind of ring of specially prepared minced fish we are looking for, but where on earth does the name and the dish come from? 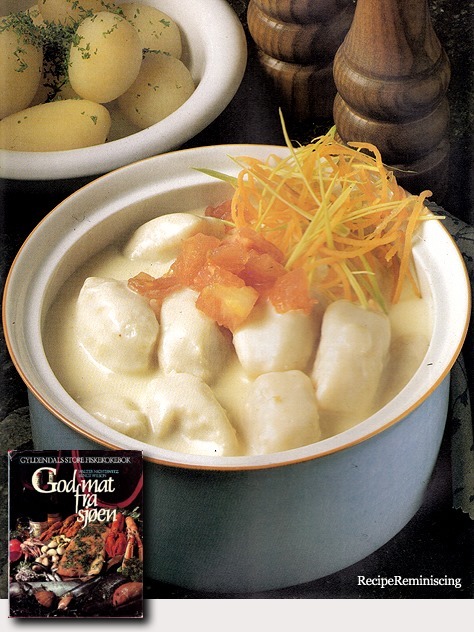 We found a word from the French cuisine: le poupeton – A southern French dish with cod or other fish, but cooked, not fresh as in our recipe, and simpler ingredients.